5.5 oz. 100% combed ringspun cotton (Heather is 93/7) jersey. Double-needle ribbed binding on neck and armholes. Double-needle hem bottom. Softly shaped for a classic feminine fit. White is sewn with 100% cotton thread. 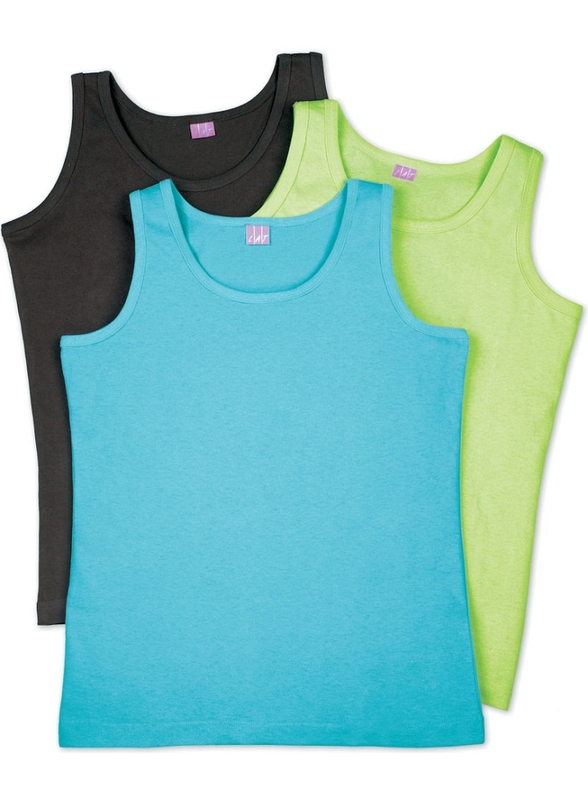 Six ladies sleeveless shirts of the same color and size come in a package. Price shown is for the package of six.